Today I'm featuring a guest blog post by two colleagues from Team Builders Plus in Marlton, New Jersey - Merrick Rosenberg and Daniel Silvert. Their company has been a value-added reseller for my company's software since 1994. Merrick and Dan have just published a fascinating book, Taking Flight!, about the DiSC model. Enjoy their insights here! When it comes to using our strengths, it’s sometimes better to ease up a bit. Shouldn't we focus on our strengths, capitalize on their impact, and apply them every chance we can? Perhaps, except that when our strength-obsessed blaze of glory prompts others to wear sun glasses to shield themselves, our strengths are now in overuse, and they have become our weakness. Take optimism, for example. The ability to see the bright side, even in the face of adversity, is a very useful skill. According to studies conducted by Dr. Martin Seligman, former president of the American Psychological Association and best selling author, optimistic people recover from illness faster, enjoy stronger relationships, and even live longer lives, than those who struggle with ‘reality based’ pessimism. So, how can optimism be bad? Well, consider the eternal optimist who is so upbeat that he only sees things as he wants them to be, not as they really are. We recently coached a project manager whose chronic optimism lead to unrealistic expectations for his staff, resulting in high stress, low morale, and poor performance. In his 360-degree feedback report, everyone agreed he was a great guy to be around, brimming with good cheer and optimism, but that he couldn’t be counted on to properly plan and deliver complex projects. How about the very useful skill of analysis? Surely organizations want people who can logically assess a project and create a system of processes and procedures that ensure quality and minimize errors. But once again, these skills in overuse often lead to unfortunate consequences: analysis paralysis, poor prioritizing, and the inability to factor in the big picture vision that is often essential to motivating the troops. In our book, Taking Flight! Master the Four Behavioral Styles and Transform Your Relationships, Your Career…Your Life, we show how the ability to employ your strengths at a healthy, balanced level is critically important to our long-term success in whatever you choose to do. After establishing a core strengths list, identify what each skill looks like at its healthy and overuse levels. Next, determine which situations prompt a balanced strengths response, vs. conditions where you are likely to veer into excess mode. Once again, feedback from your peers and manager may be helpful. Finally, identify behaviors that need to be “toned down” so that strengths are used effectively. Calibrating our strengths in response to the people around us not only brings out our best, but maximizes the potential of everyone’s growth. Master this art and you will become a magnet for talented people who grow smarter and more capable in your presence, which then delivers the best results for all. 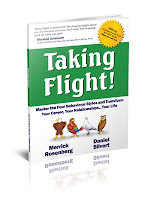 Merrick Rosenberg and Daniel Silvert are co-authors of Taking Flight! 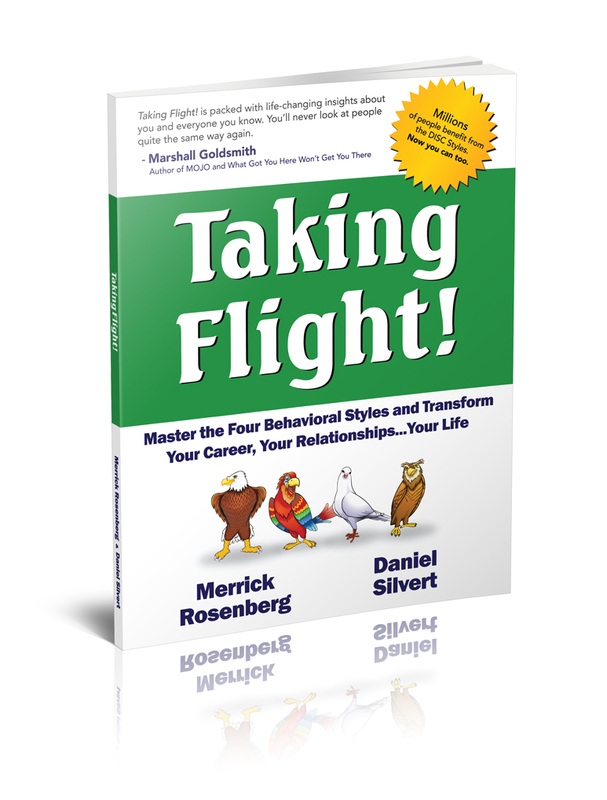 Master the Four Behavioral Styles and Transform Your Relationships, Your Career…Your Life. Merrick is the President and cofounder of Team Builders Plus and Daniel is the VP of Learning and Development at Team Builders Plus. Thankyou for the thought provoking points that are causing me to re-focus my actions - particularly the helpful nature, seeking harmony, and overloading on responsibility. Agree totally with your final paragraph. No 1 person is strong in all areas. To be a leader of to a successful team, the leader needs to recognise where he/she is weak and bring people alongside who are strong in those areas. This means delegating. The chances of success will automatically multiply. Kate, thanks for pointing out what was most helpful to you in this article. Yes, a key skill for leaders is the ability to find people who will complement their own strengths. No one can excel in everything! What is you considering about your 360 degree feedback report? I think your discussion contains most powerful tool that you have misused in your past to creating the balance and strength. So, My advice is that us your strength as a possible manner and least possible time.